Links to Software, Hardware, and other Resources. I am a consultant specializing in embedded system design and implementation, PC systems analysis, real-time data acquisition and control, embedded GPS (Global Positioning System satellite receivers), data communications (modems, both asynchronous and synchronous, RS-232, RS-422, and RS-485, fiber optics, network TCP/IP and UDP, Internet/www, and wireless communications), RFID on compact devices (Pocket PC or embedded Windows CE), PC user interface design and implementation on Windows desktop, Pocket PC or WinCE systems, the .NET Microframework, scientific, laboratory, industrial machine control RFID and GIS using Microsoft MapPoint ™ and Virtual Earth ™ applications (look at this Automatic Meter Reading GIS example). If you are interested in adding Virtual Earth (Bing Maps) functionality to your .NET or VB6 applications, contact me. Recently, I have been developing Arduino based platforms for data acquisition and control. Arduino is an inexpensive board that is ideal form one-off or limited production systems that have modest design requirements. Contact me for more information. 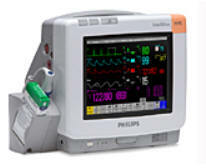 The Philips Data Export protocol that conveys this data is complex, not well documented, and is not supported to any great extent by Philips. The Data Export Protocol is described in a 300+ page document that is convoluted, misleading, and incomplete. I spent about 600 hours working out the details required to implement this protocol in a Visual Studio .NET control. My original time estimate for this project was 40-80 hours. You might imagine how frustrating this project became over time! Regardless, I completed it, though far behind schedule. Click here for more information and to download source code and resources. A client list is available. Visual Basic Programmer's Guide to Serial Communications A Tutorial: Porting VB6/MSComm32 applications to Visual Basic .NET ASIN: B009AE7NZW Published September 2012 by Grier, R.
Visual Studio .NET and its supported languages, such as VB and C# provide a modern and well supported application development environment. There are a wealth of legacy VB6 programs that can benefit from moving to VB .NET. This tutorial is devoted to those VB6 applications that rely on serial communication to exchange data with other computers or devices. Porting VB6 based serial communication programs to VB .NET can be tricky. The tutorial guides the porting process and provides critical information and working example code to illustrate the process. The tutorial also provides help for maintaining legacy VB6 applications by employing COM Interop controls and forms developed using VB .NET to add important capability that is best done using .NET tools. 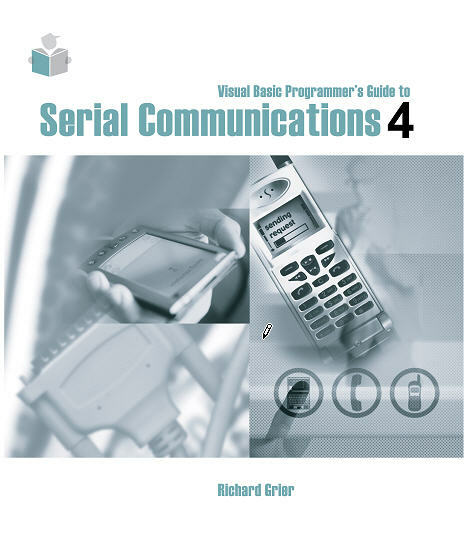 Visual Basic Programmer's Guide to Serial Communications, Fourth Edition, ISBN 1-890422-28-2 (391 pages, includes CD-ROM). July 2004, Text revised July 2006. Grier, R. For more information, to read reviews, or to order this book from Amazon.com or directly from me, click the book image. I add new example source code and utility programs to the included CD-ROM to keep the book up-to-date with the latest changes in VB .NET. This includes many new articles that are intended to provide detailed insight into the example code. "VB Program imports GPS data for time synchronization, location detection". Personal Engineering and Instrumentation News. September, 1997. 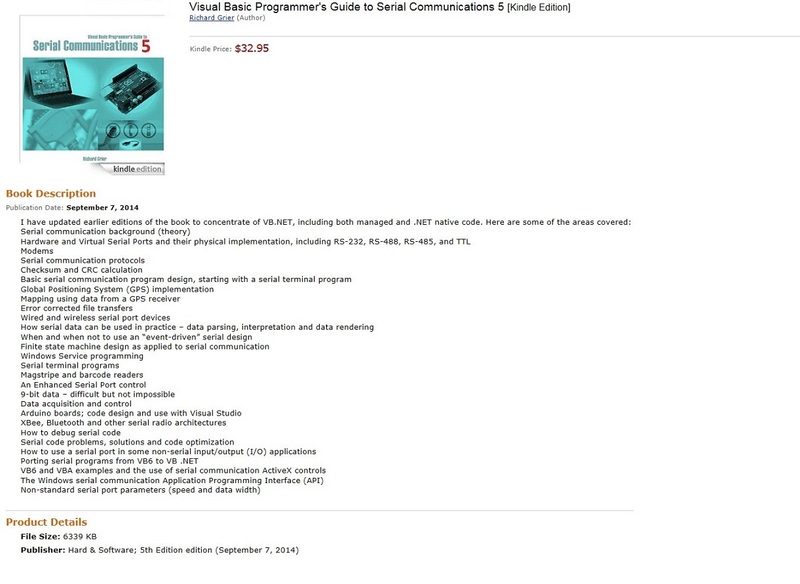 Grier, R.
"Windows API speeds serial communications in Visual Basic". Personal Engineering and Instrumentation News. July, 1997. Grier, R.
"Practical Serial Communications - Using MSComm, PDQComm, and CommLib3". Visual Basic Tool Tips. [Part1] July/August, 1995. [Part2] September/October, 1995. Grier, R.
"Autodial Modems -- The Weak Link In Data Communications". Presented before the Sixth annual IEEE Conference for Fault and Disturbance Analysis, Texas A&M University, April 1991. Grier, R.
Videodisc Premastering Facility: Technical Evaluation. LISTER HILL Technical Report LHNCBC 83-10, September 1983. Thoma, G., Grier, R., Merriam, S., Leonard, W.
"Video Image Degradation and Its Evaluation". Presented before the Society of Motion Picture and Television Engineers meeting, Bethesda MD, August 1981. 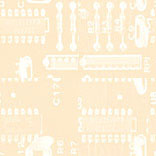 Grier, R.
Member of the Institute of Electrical and Electronics Engineers. Member of the Denver Area Visual Studio Users Group.